Make no mistake, when you’re after a Samsung Galaxy S7 Edge screen replacement or any other repair, Phone Ninja has you covered. Having helped over 30,000 happy customers since 2009, we’re not your standard repair shop and often we can even perform a while-you-wait repair, saving you time. No matter which Galaxy S7 Edge repair you require we have stores right across Perth, Western Australia ready to repair your phone like new! Were you after a non-edged Galaxy S7 repair? Cracked your S7 Edge screen? Want to save money by replacing just the glass & touch screen if your LCD still works? Battery no longer has the life it used to? Then contact Phone Ninja for your next repair! Our new glass & touch only replacements will save you money over a full screen replacement if your LCD, that part that makes the picture still works 100%. Our price-beat guarantee ensures that our prices are affordable, if not we’ll beat any price in Perth! Of course we use only the highest-quality parts available, and we test all S7 Edge devices after repair, saving you hassles down the track. Want your Galaxy S7 repaired while-you-wait? Contact Phone Ninja or drop into any of our stores spread across Perth for a free-quote or repair today! Samsung’s latest flagship the Galaxy S7 Edge is crown jewel in an impressive line-up of smart phones. The Ninja Techs have fallen in love with the new curved display first seen on the Galaxy S6 Edge. The only problem with a curved screen is that the glass is now on the side of your phone making it easier to break, and ultimately need a screen replacement. That’s why Phone Ninja specializes in Galaxy S7 Edge Repairs. The bigger battery and screen of the S7 Edge are the main differences between it and its little brother the S7. The IP68 water proofing, the wireless charging, and the dual pixel camera still applies to this model making it one hell of a phone. 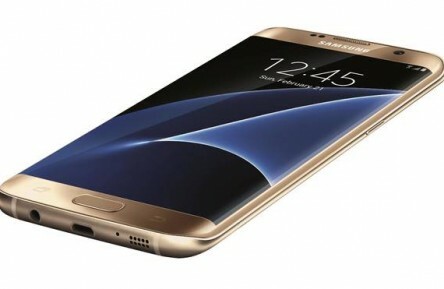 Samsung have decided to follow Apple with glass rears to all the S7 Edge range. The down side is that it is easier to break than older models such as the S4 & S5. Don’t worry though; the ninjas will have you covered with all the latest, highest quality parts. The new Samsung S7 Edge packs a Mean punch with 4k video and high resolution LCD, the S7 Edge’s processor that is now 30% faster than the S6 tears through apps without breaking a sweat. With a 64% faster GPU the graphics have never been better.